Encounter the unforgettable allure of The Merchant of Venice Ottoman Amber Eau de Parfum, a regal fragrance for men with vanilla facets. Made for a majestic man with an audacious style of living, the Ottoman Amber Eau de Parfum dares to take risks, just like its wearer. 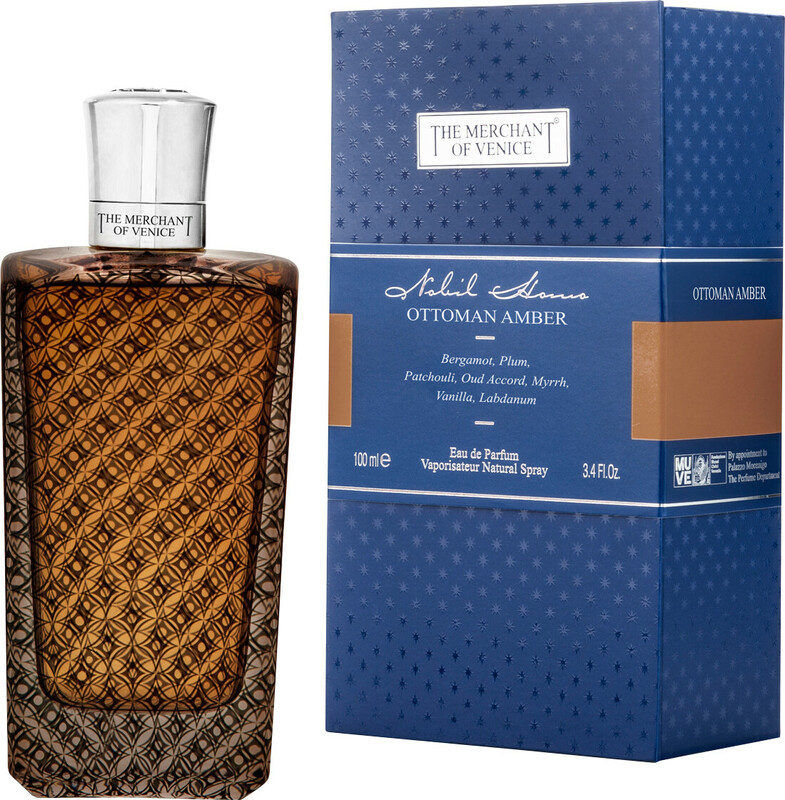 Courageous and strong, the Ottoman Amber man is full of mystery and refinement, an enigma to those in his presence, and he wouldn’t have it any other way. Bold streams of citrus spark open the scent, revealing the decadent core of floral-fruity facets. Aromatic geranium leaves sweep over juicy plum nuances, provoking the richness of Ottoman amber to reign over the creamy vanilla and labdanum base. Notes: Labdanum, Myrrh, Oud Accord, Patchouli, Vanilla.